Modern, electronic dance music plays over the speakers and the large, flat-screen TVs that hang overhead silently broadcast the news. The two coincide, creating an odd interruption to the otherwise unique, thematically cohesive environment: that of a pirate ship. There are ropes jutting from the walls and ceiling, securing imaginary sails. The walls are decorated with images of sea creatures. and the environment is bright, fun and lively. 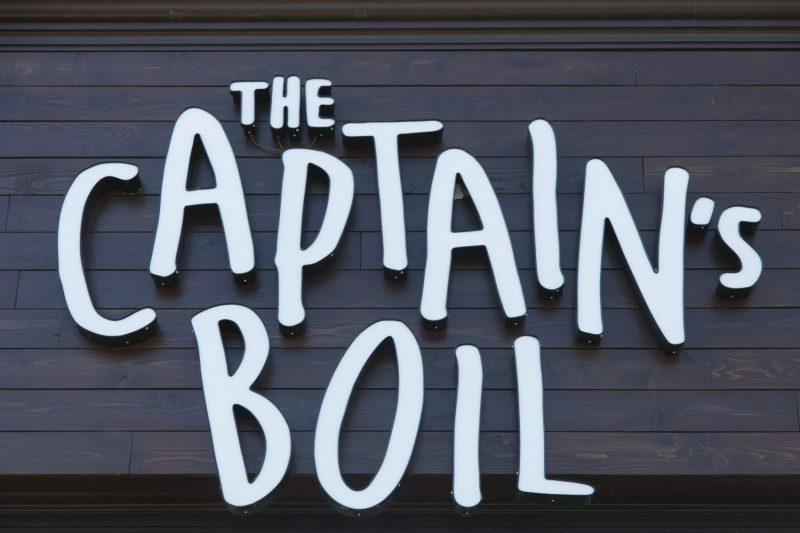 The Captain’s Boil is a unique, new, Louisiana-style chain of seafood restaurants popping up all over Canada since opening their first location in the GTA, in November 2015. They now have 16 locations, from Vancouver to Montreal. “Waterloo is lacking in seafood restaurants,” said co-owner Angus Lee. Even the orders are unique: first, the customer chooses their ‘catch,’ or style of protein. Options, priced by the pound, range from crawfish and lobster to shrimp and mussels, or even chicken for the fish-adverse. Second, a selection of sauces: cajun, lemon pepper, garlic or ‘Captain’s Boil’ — a mix of all three. Lastly, a level of heat is selected. It’s a three step process for ordering, but it’s the messy style of eating that begs for tutorial: the restaurant is outfitted with a hand washing station, because they don’t provide any utensils. One is to remove their catch from its plastic bag presentation, peel the shell by hand, dip and consume. “It’s a dining experience,” said hostess Sarah Charron. It’s a coastal method of community eating, branched out from Cajun style shellfish meals, that has been a part of Louisiana culture for over a hundred years — perhaps limited regional access to fresh fish has been what kept it from spreading earlier. But thanks to the interconnectedness of the modern world, the seafood boil has been able to spread. And thanks to globalization, the version at The Captain’s Boil has been fused with Asian spices, lemongrass and ginger, as added to the recipe by immigrant fishermen in the 1970s. The atmosphere is cool and inviting and the visuals are fun: a cute, friendly cartoon serves as the brand’s label, softening the usual murder and pillaging connotations associated with burglars of the sea. This captain’s big, black beard boasts the name of the restaurant and instead of a skull and crossbones decorating his hat, he’s got a friendly lobster. To combat scurvy, the most common issue of the pirate life, the restaurant offers vegetables as a side, including okra and broccoli. Perhaps even more important is the fully stocked bar at the back — one cannot fully immerse themselves in the role of a pirate without a large glass of rum to sip on.